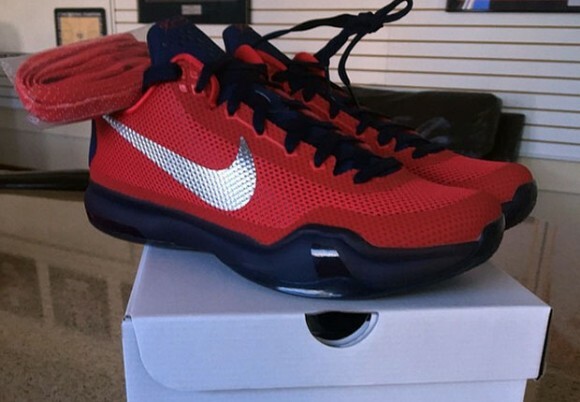 Reminiscent of last year’s Kobe 9 Elite Low ‘University Red,’ the new Kobe 10 is now seen in a red ‘Findlay Prep’ Player Exclusive. This shoe is one that I wish was releasing in stores, because the flat navy midsole against the red textile mesh upper looks just amazing. 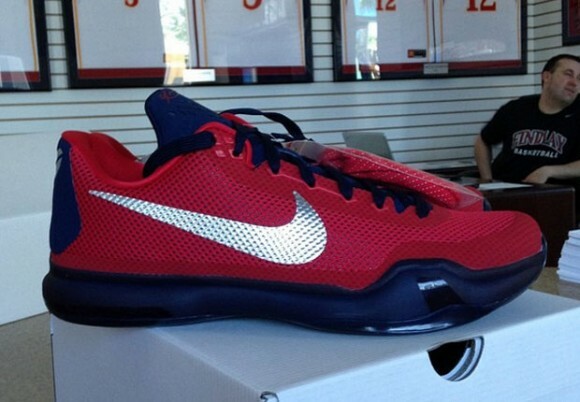 The shoe represents the Findlay Prep colors, and will most likely be worn by the team. As far as the model, the Kobe 10 seems to be a favorite on court, especially in the NBA. Many players choose either the Kobe 10 or the Kyrie 1 on court. Casual-wise, these shoes are great. Because they don’t look as crazy as the Kobe 9, there is a lot more outfits that this shoe can go with. This colorway compliments the shoe so well, that its such a shame only 10 pairs were made. No need to go try to make these on Nike iD either, I already tried. But, congratulations to Findlay Prep on scoring a really nice PE! Let us know your thoughts on the shoe! Yeah, this shoe is better suited for color makeups such as this. However, outside of the TB issued kicks in Kobe’s line, which seem to come out the season after the initial sig release, the more gaudy and tacky, trashy color makeups, seem to get the most attention from Nike and Kobe fans, which is not surprising at all.